Everybody’s talking about Tolkien again. 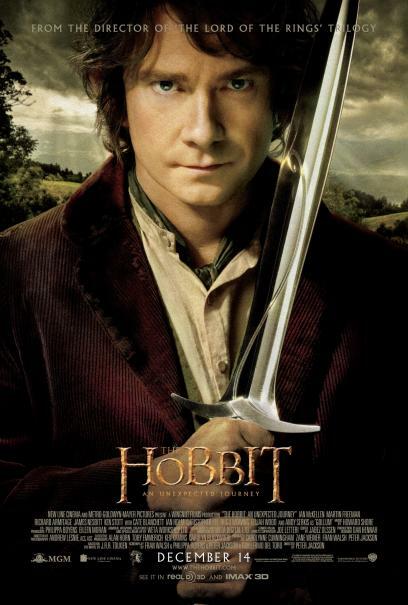 Peter Jackson’s rollicking adaptation of The Hobbit recently debuted as the world’s #1 movie, eleven years after his first Tolkien-inspired film. Much has been made of Jackson’s decision to expand the one-volume Hobbit into three movies in the tradition of the Lord of the Rings. Fans and critics argue about the wisdom of stretching this one book (itself a prequel) across three films. Yet any discussion of these movies inevitably leads back to the books themselves. And the book is always better than the movie. J.R.R. Tolkien is to epic fantasy what Jimi Hendrix is to rock guitar; what Edgar Allan Poe is to horror stories; what William Shakespeare is to drama. It is impossible to write an epic fantasy without being somehow influenced (directly or indirectly) by the work of Tolkien. The man did not necessarily invent the fantasy genre, but he did create the modern conception of what epic fantasy looks and feels like. After Tolkien, any book featuring elves, dwarves, hobbits, and/or goblins was borrowing elements of his work (or accused of “stealing” them outright). The trilogy became the dominant fantasy format. Even the simple orc has become a hugely popular monster, featured in novels, movies, comics, and games to a degree that Tolkien would never have expected. Tolkien’s imitators are legion, and used bookstores are full of novels written “in the tradition of Lord of the Rings.” This has been the state of the fantasy genre for decades. Yet does Tolkien hold the “copyright” on the epic fantasy concept? How does a modern writer craft an epic fantasy that goes beyond the Tolkien paradigm and explores new ground, without simply remixing and reinventing what The Master has done? It has been said that “there are no new stories, just new ways to tell them.” This is the job of today’s writer of epic fantasy: To tell a mythic story in some new way. Fantasy tropes, plots, and devices are recycled endlessly, and that’s only to be expected. Fantasy fiction is the modern equivalent of the myth cycles of early humanity. The heroes, conflicts, and adventures touch on the timeless themes that run through all literature, from Beowulf to The Odyssey, all the way to Lord of the Rings and modern fantasy epics like George R.R. Martin’s A Song of Ice and Fire. In The Books of the Shaper series I set out to create a world that I would enjoy exploring throughout the course of an epic-length novel and beyond. I knew right away that I didn’t want any of the more commonly used elements of “Tolkien-style fantasy”—no elves, no dwarves, no orcs or goblins. These elements (races) are so quintessentially Tolkien that I had no interest in doing “my version” of them. I love Tolkien, but I didn’t want to be him. I wanted to be myself. Granted, Tolkien was not the first human being to write about elves or goblins or dwarves. Yet he popularized his personal vision of these creatures to such a towering degree that his take on them has largely replaced the actual folklore that birthed them. There are many writers who are entirely comfortable using elves and similar fantasy creatures in their work—and there is nothing wrong with that in principle. However, when a writer chooses to work with these popular elements he has to leap an extra hurdle of creativity to avoid accusations of “ripping off” Tolkien. Ironically, nobody accuses Tolkien of “stealing” generations of folktales, Nordic legends, and European myth-histories—the actual raw material that inspired his works. Perhaps this is because Tolkien was borrowing from uncounted sources drawn from the depths of time, rather than taking his cue from a single influence. In 1977, Terry Brooks began a literary phenomenon with his novel THE SWORD OF SHANNARA (UK | AUS) , and he followed it with a string of successful sequels. 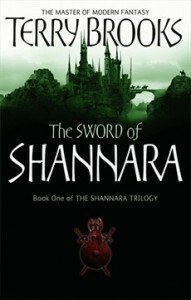 It is one of the most popular fantasy franchises in publishing history. SHANNARA (which I devoured eagerly as a 10-year old Tolkien fan) practically created the mass market fantasy niche. Yet as popular and wide-selling as these books are, there are still those who condemn the series for its similarity to Tolkien’s work. At the time there were precious few books that appealed directly to those who loved The Lord of the Rings and hungered for a similar fantasy experience. In fact, the blurb on the back cover of THE SWORD OF SHANNARA read: “For all those who have been looking for something to read since The Lord of the Rings, here is a wondrous new epic fantasy.” SHANNARA became the first fantasy paperback to appear on the New York Times Bestseller List, and as a franchise it is still going strong today. Of course, the tremendous success of Brook’s first novel inspired more books reminiscent of Tolkien, since anything popular in our culture is imitated. Another massively successful fantasy trilogy launched in 1977, another epic, multi-volume adventure inspired by Tolkien’s work. Stephen R. Donaldson’s The Chronicles of Thomas Covenant the Unbeliever turned Tolkien-style tropes on their head while delivering epic fantasy thrills. The first volume of the series (Lord Foul’s Bane) introduced the anti-hero Thomas Covenant, an outcast leper from the “real” world transported into a kingdom much like Middle-Earth. “The Land” was suffering under its own version of Tolkien’s “Dark Lord” (the titular Lord Foul), and Donaldson’s heroes believed that Covenant was the key to their world’s salvation. Unlike Tolkien’s lovable and courageous Frodo Baggins, Donaldson’s Covenant was distinctly unlikeable, sometimes downright despicable, and had no faith in himself whatsoever. Covenant was a whiner, a complainer, a broken man with no hope for himself or the kingdom he was charged with saving. A reluctant and incompetent messiah, he regarded the whole adventure as a meaningless dream. This dark counterpoint to Tolkien’s shining heroism engaged millions of readers. It may also be the chief reason why nobody ever really accused Donaldson of “ripping off” Tolkien, despite several obvious parallels between The Chronicles of Thomas Covenant and The Lord of the Rings. Here we come to the crux of the matter: Writing epic fantasy that is true to the traditions of the genre, yet also bringing something new to the genre. Something the reader hasn’t seen before, or in quite the same way. Yes, Tolkien’s work remains a fundamental cornerstone of epic fantasy, and yes his work is brilliant and should always be read and remembered. But so is the work of Lord Dunsany, Clark Ashton Smith, Robert E. Howard, Fritz Leiber, Edgar Rice Burroughs, E. R. Eddison, Jack Vance, Tanith Lee, and many other fantasists. Where does originality come from? What separates the heroic quest of Jon Snow from that of Aragorn? What distinguishes the sorcerers of Zothique from those of Lankhmar? What is that magical ingredient that turns Old to New, that brings freshness to the classic elements of fantasy? Here’s what I believe: Originality comes from deep within an author’s being. Writing The Books of the Shaper was a chance to express myself in the context of the epic fantasy genre, in a way that only I could have done it. No two writers are the same, just as no two people are the same. Being yourself is the key to being original. Writers are always influenced by their favorite works, but we are far more than the sum of our influences. We have to be. One of my favorite authors, A. A. Attanasio, wrote a five-book series that retells the story of King Arthur, beginning with a splendid novel called The Dragon and The Unicorn. This is a legend we’ve heard over and over again for centuries, yet Attanasio breathes fresh life into the tale by making it his own. He makes his readers believe in the feasibility of sorcery, not with lengthy and boring explanations on the metaphysical rules of magic, but in the casual way he describes magic being evoked from the natural world. It flows from him as naturally as a scene of conversation between a knight and his squire. In the context of quantum physics, Attanasio finds rationale for his magic, but he never turns it into science fiction by explaining it completely. He puts himself into his work—expressing his world-view and his metaphysical sensibilities—bringing fresh life to the well-worn saga of the Pendragons. 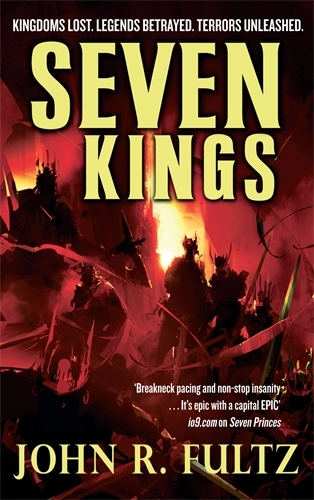 Another author who brings staggering originality to his fantasy work is R. Scott Bakker. His PRINCE OF NOTHING (UK | AUS) series brings an understanding of existential philosophy to the tropes of epic fantasy. He uses philosophical underpinnings to bring his characters, his sorcery, and his world to life. But it’s not just his philosophy that makes it work, it’s the down-and-dirty, sweat-and-blood, day-to-day existence that his characters live. Bakker’s work has been called “Tolkien with dirt,” which shows again that you can never avoid comparisons to Master Tolkien when you write epic fantasy. But his originality screams from every page because Bakker’s worldview is invested in his fictional creation at a fundamental level. There are many, many authors who bring originality to epic fantasy, yet all of them work in the shadow of Tolkien. Perhaps the metaphor isn’t quite correct. Perhaps the better way to say it is that we all work in the LIGHT of Tolkien’s achievements. His genius–his lifelong dedication to craft, myth, and language–illuminated a path so spectacular, so iconic, and so rewarding, that it still wins the hearts of readers several generations after his passing. In The Books of the Shaper I wanted to explore the great mystery of sorcery as a metaphor for ultimate creativity. The sorcerers in my epic were always going to be a primary focus, yet not all the main characters are sorcerers. In order to explore these sorcerers and their craft in depth, I first had to explore my own definition of sorcery and establish my own conception of what magic truly is. I decided that sorcery is a way of understanding the malleable nature of reality itself. A technique for interpreting, re-arranging, and controlling that reality. It is also a metaphor for existence—for life—which to me is a genuinely magical state. Yet sorcery wasn’t enough. Every story begins and ends with character. I wanted compelling characters who were more than one-dimensional stereotypes. Yes, some of my characters are unrepentantly evil, but one of them (Gammir) is also a failed poet who never felt love from his adoptive parents. Another (Ianthe) is an ancient force of alien conception that cannot relate to the basic humanity of those she dominates and destroys. Everything in my stories flows from the characters and the choices they make. Therein lies the essential humanity of the narrative. When we read, we inhabit the mind and body of a viewpoint character. Jumping from one viewpoint to another as they all weave together creates a synergy of awareness and heightens the drama. Conflict is the heart of all drama, so when you have interesting and conflicted characters, you will have compelling drama. 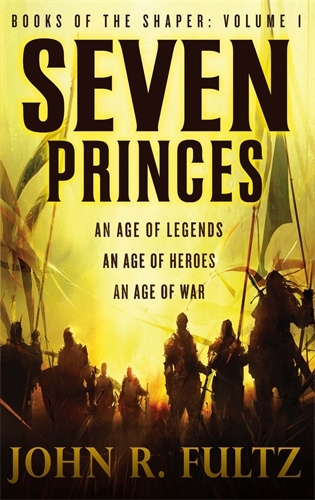 There are no elves or dwarves in SEVEN KINGS (US | UK | AUS) or its companion volumes. There is no satanic and all-mighty Dark Lord. Instead there are flawed men and women (some of whom are Giants) trying to do the best they can in a world of mythic conflicts and staggering sorcery. There is Vireon, the half-Giant inheritor of a throne he neither sought nor particularly wanted; Sharadza, whose clever magic gives her no power to save her doomed marriage; Tong, an escaped slave who discovers far more than the vengeance he craves; Tyro and Lyrilan, the Twin Kings of Uurz, whose brotherly love is destroyed by the weight of their shared empire; and Iardu the Shaper, whose potent sorcery can change the world but not the stubborn nature of mankind. Tolkien’s works are notable for the purity, nobility, and wisdom of his characters. There is never a doubt that Aragorn will make the heroic choice, or that Frodo and Sam will see their way through to the bitter end of their perilous journey to Mordor. Tolkien wanted to show the best aspects of humanity, and contrast them with the ultimate evil of Sauron. Yet people are rarely so pure and unblemished in my experience. I wanted to reflect human ambiguity in both my protagonists and my antagonists. If Tolkien’s books are about the goodness and nobility of humanity, then The Books of the Shaper are about the ambivalence of the human condition, the inconstant nature of the world itself, and the suffering behind the heroism. If Tolkien’s books are about facing ultimate darkness armed with courage and faith, then The Books of the Shaper are about the obsessions that drive us to our fates, the terrible price we pay for what we want, and the inherent duality of human existence. The Shaper books are also about Giants, sorcery, philosophy, politics, love, hate, war, and the irresistible gravity of family. They are about father/son relationships, wherein the “absent father” is a recurring theme. I didn’t really plan to write about that particular idea; it simply emerged and re-emerged from the fertile soil of my imagination. Even when you’re writing about fantastic events, places, and characters, you’re still writing about humanity. It’s the only subject in which we can claim any real expertise. The greatest lesson any writer can learn from J.R.R. Tolkien is to be true to your own personal vision, and to reflect the abiding truths of life in your writing. There is only one Tolkien, and he wrote exactly what he wanted to write, in exactly the way he wanted to write it. As a new generation of moviegoers discovers Tolkien’s genius and turns toward the books that inspired the films, it is a great time to be writing fantasy. We work in the glow of the Master’s enduring light. John R. Fultz is the author of SEVEN PRINCES (US | UK | AUS) and the upcoming sequel, SEVEN KINGS. Look for SEVEN KINGS online and in stores this month.